The general public opinion can be said to be key in mirroring the medical marijuana trend. There have been mixed debates on whether or not the drug should be made legal and its medical value be recognized. The United States has however been slow to accept this revolution being called for. The movement to have marijuana legalized can be said to have gained considerable success as over the past few years, a number of regions have loosened the knot on the use of the drug. The US state of California legalized medical marijuana for the first time in 1996. Twenty two other US states have similarly voted to permit the trade and taxation of the medical marijuana. In four of these states namely Colorado, Alaska, Washington and Oregon the legalization of Cannabis has gone a notch further by accepting the use of recreational marijuana as well without need for due notification from a doctor. The state of Colorado was also the first of the four to establish a fully permissible industry for recreational marijuana. The state has realized the full merit of the legalization when it earned about 295 million dollars in the sales of marijuana in 2014 alone. The net in the same financial year amounted to approximately 60 million US dollars of fresh tax revenue. Even with all the noted momentum in the marijuana industry, hard currency still remains the only mode of exchange for majority of the cannabis shops. This method of trade comes with a share of challenge as merchants and customers alike have to carry large bundles of cash around exposing themselves as easy target for theft. Out of the recognition of this lurking risk, shop owners have been forced to invest in safes and other theft prevention mechanisms including security systems. This goes on regardless of the fact that the risk could be easily averted by simply opening and maintaining medical marijuana merchant accounts with agencies that provide such services. In addition, the traders need to recognize that security is not the only issue that comes along with the full reliance on cash for all business dealings. 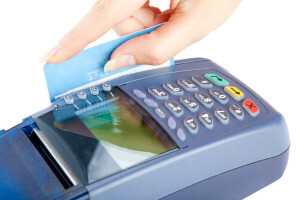 There is the element of cost that tends to increase with this method of processing payments. With the high operational costs, the traders are likely to remain under the influence of the thought that they are not operating a legit business. To start your Medical marijuana merchant account, contact us today! This entry was posted in Marijuana Business Funding, Marijuana Industry and tagged Accept Credit Cards, Marijuna Industry, Medical Marijuana Merchant Account by admin. Bookmark the permalink.